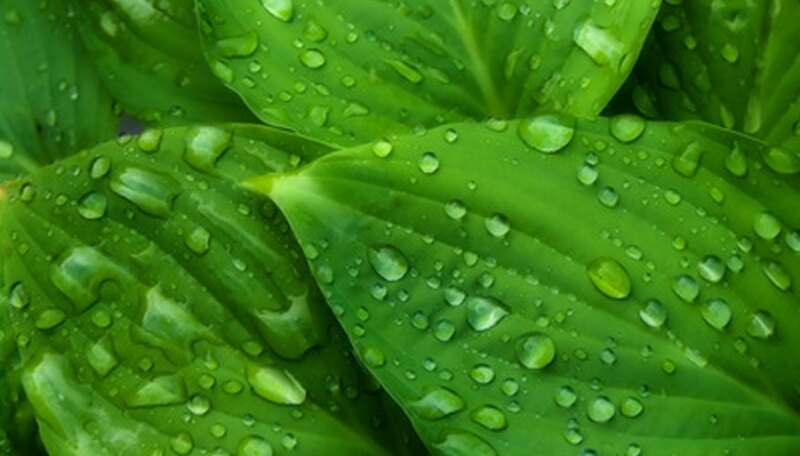 Hostas are leafy, hardy perennials that thrive in moist, shaded areas. The foliage emerges in late spring and early summer. The lush leaves grow up to 3 feet tall. In the winter, the leaves and flowers die back. After the first frost has killed off the foliage, cut the hostas' dead material back to make room for the next season's growth. Hostas are cold-hardy plants. You won't see any growth all winter, as the plant will remain dormant underground waiting for the spring thaw. Hold a pair of pruning shears horizontal to the ground next to one of the hosta stalks. Use sharp pruning shears or scissors to achieve a clean, even cut. Place the pruning shears around the hosta stalks about 1 inch from the ground. Clip off the stalk and discard the plant material. Continue working on the plant until all the stalks are cut back to the ground. Apply a light mulch over the hosta stalks to keep the roots warm over the winter. A 1-inch layer of leaves over the cut stalks makes a good ground mulch.